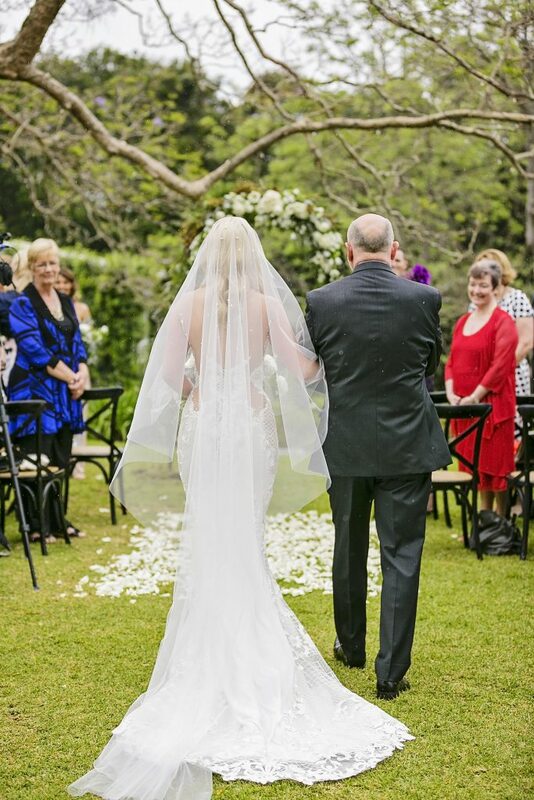 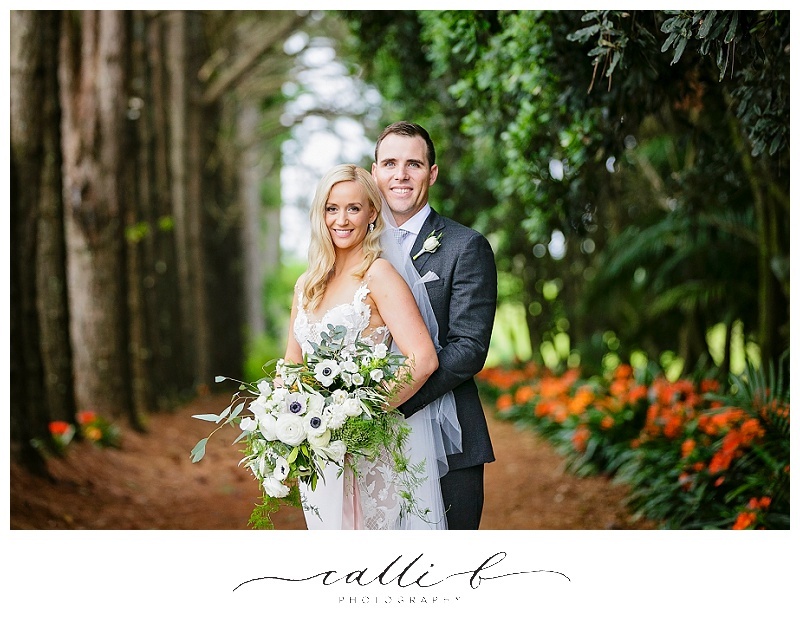 Rebecca and Robert decided to do just that at beautiful Spicers Clovelly Estate, and their lovely celebrations looked something like this! 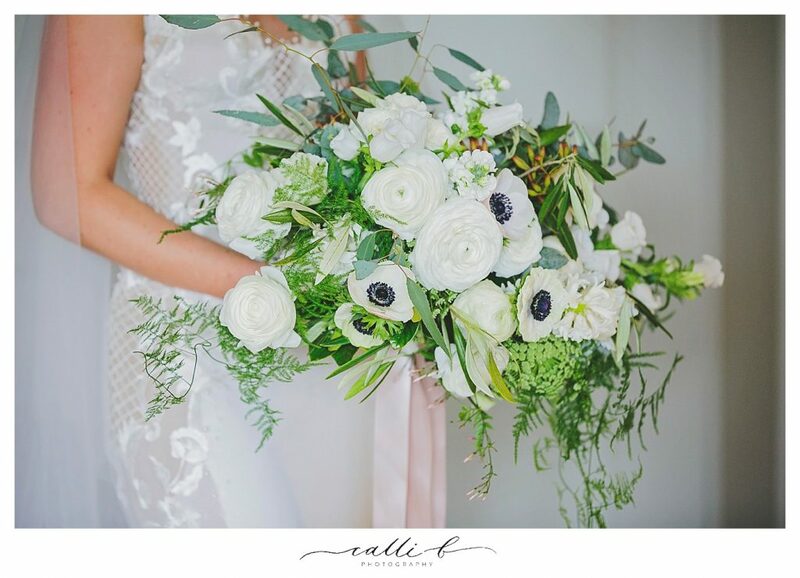 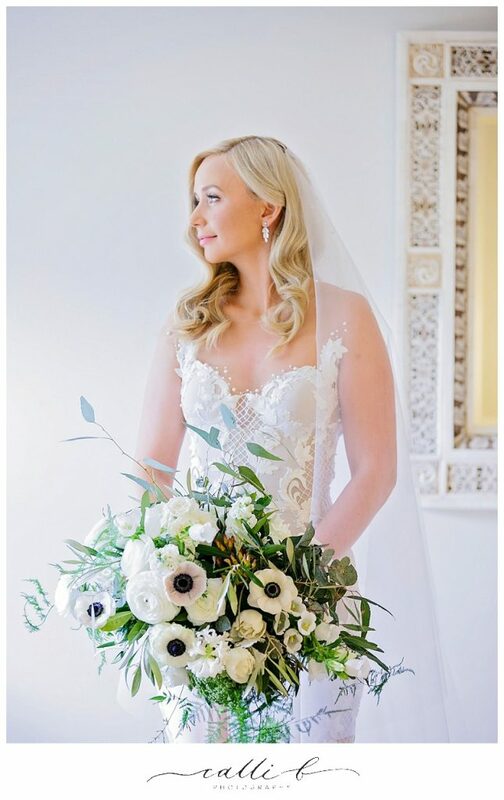 Rebecca’s brief to me for her wedding flowers was ‘sophisticated country’ and the floral concept we created told that very story, with sophisticated blooms such as anemones, roses, hyacinth and ranunculus partnered with touches of country flora including eucalypt gum, olive leaf and gardenia foliage it was floral match made in heaven and combined beautifully to create the modern rustic bouquet designs for Rebecca’s beautiful day! 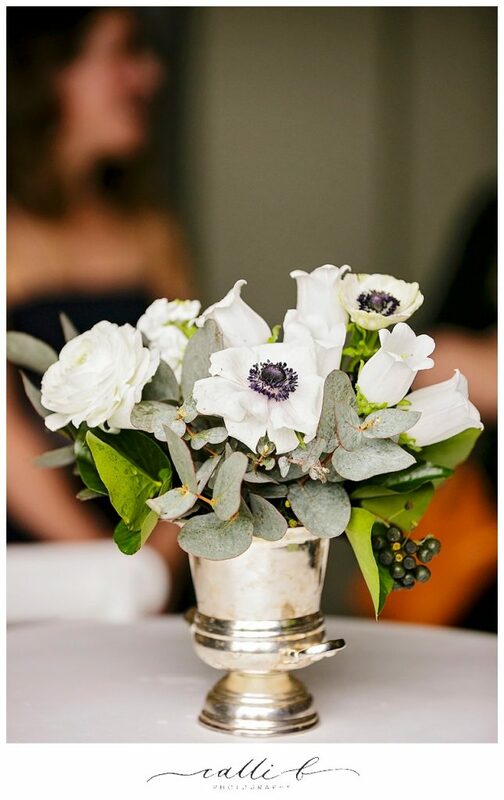 Oh and don’t get me started on those beautiful anemones, aren’t they the most delicious blooms you have ever seen! 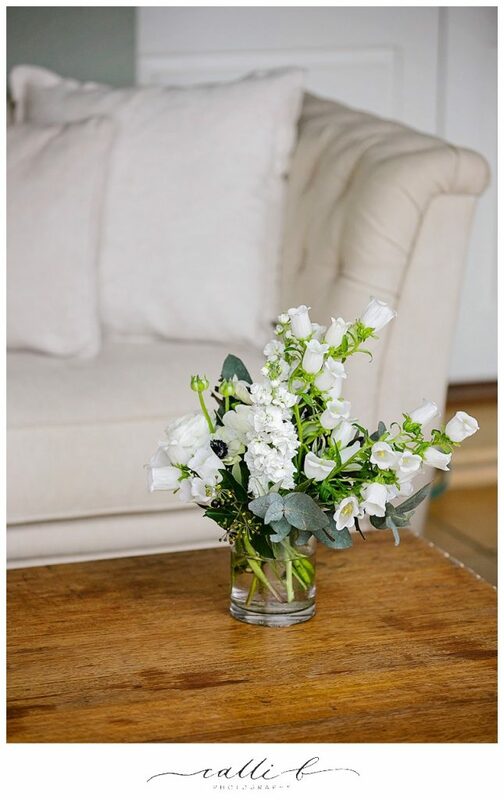 White delicate petals with that uber amazing black indigo centre, how much more goodness can one bouquet bare….. 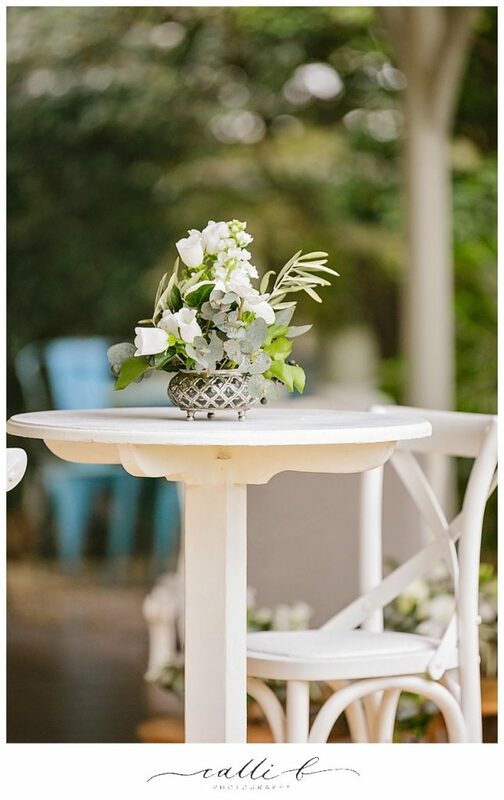 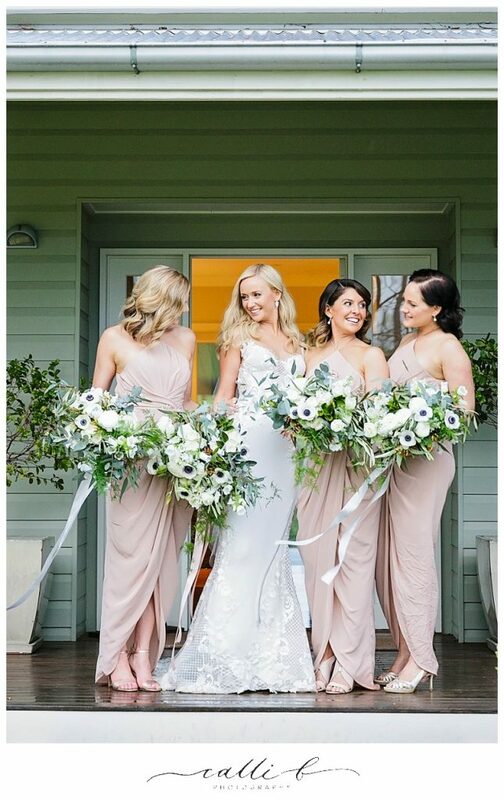 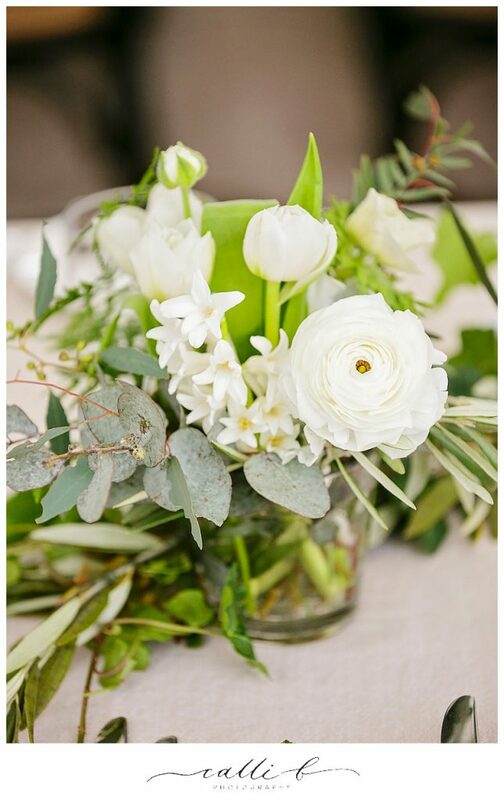 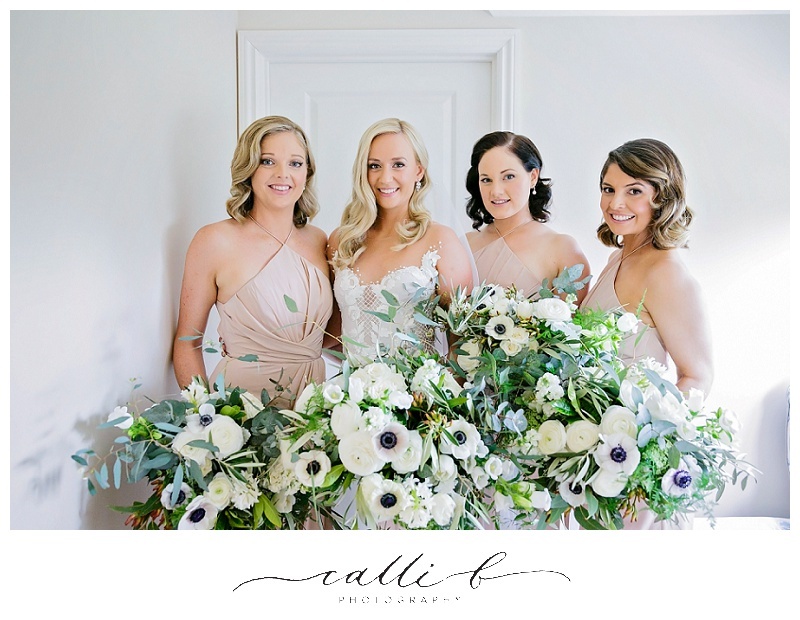 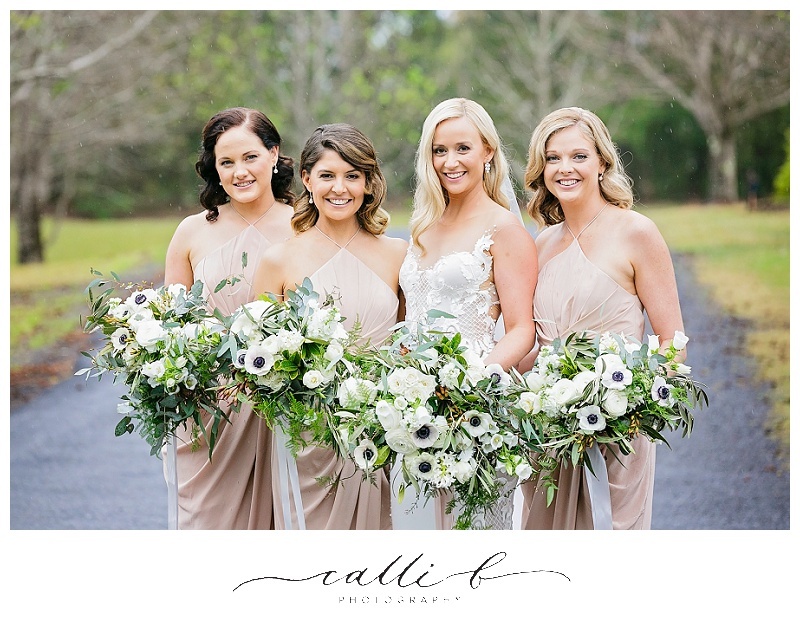 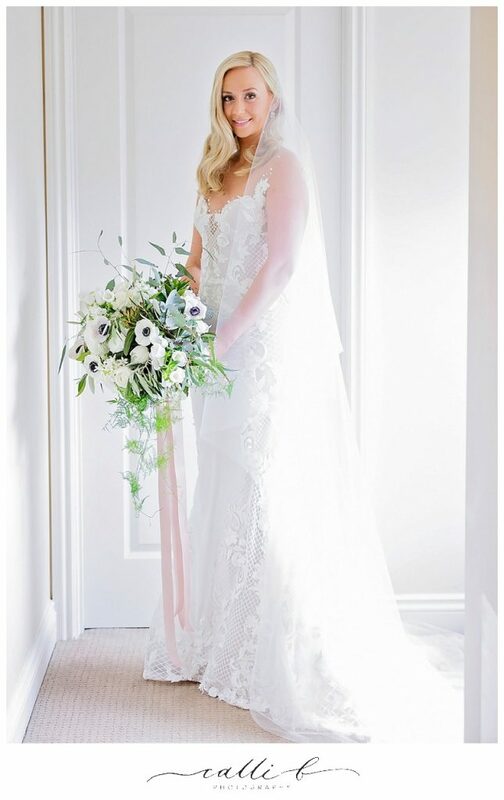 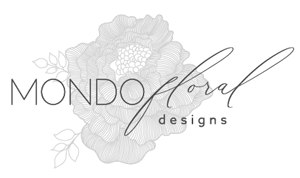 They were certainly the feature bloom in the collection of florals for the day, partnering beautifully with the soft spring time petals surrounding them. 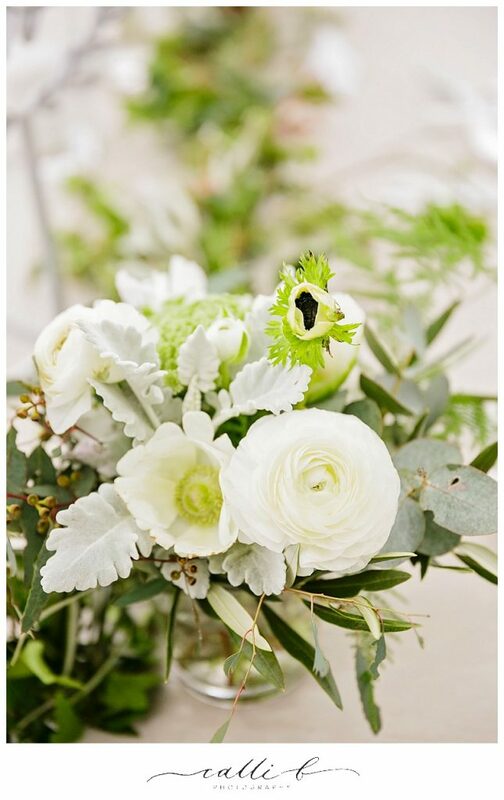 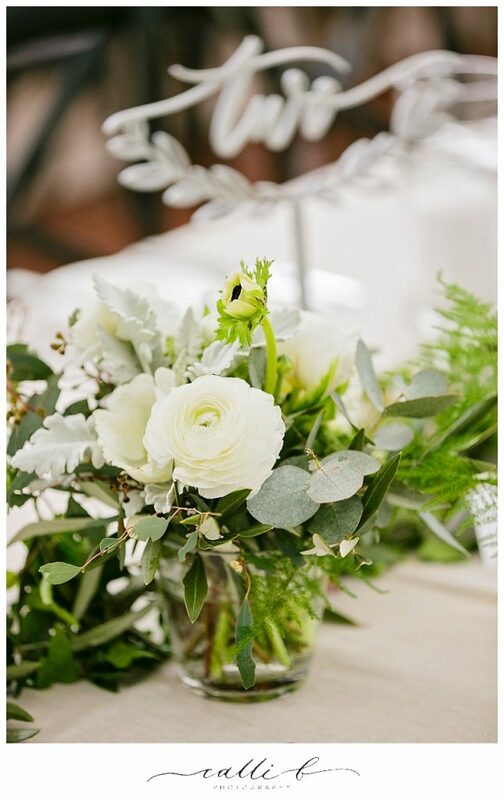 A variety of lush and darker green foliage’s combined to create the luscious bouquet designs, with cascading greenery accents finishing the design. 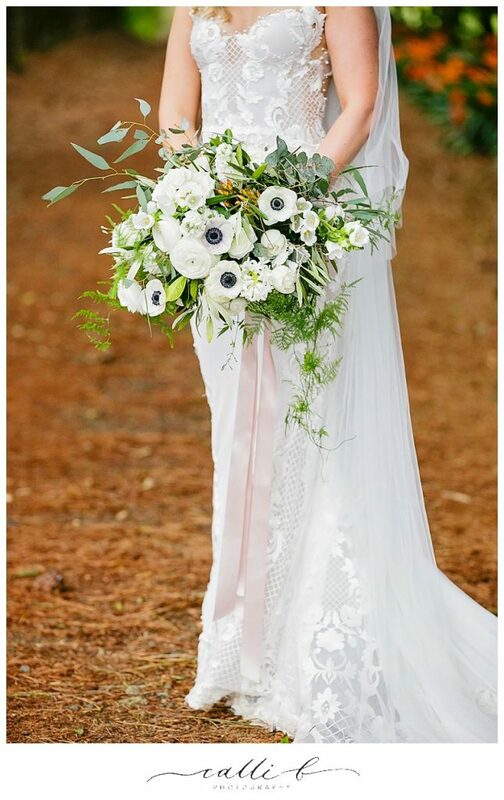 Nothing says bouquet romance like a softly cascading trailing ribbon, and it proved to be just the right final touch to the spectacular whimsical bouquet designs. 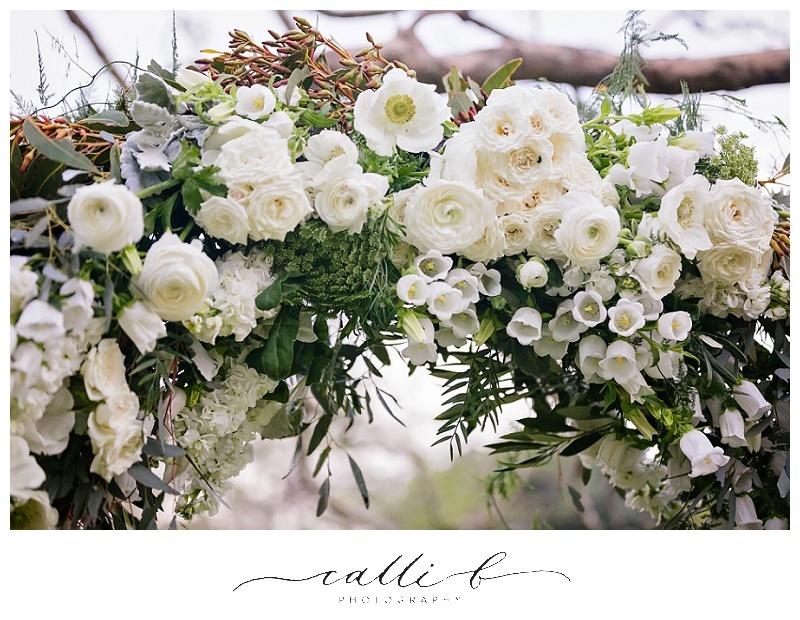 Our gardenesque ceremony arch featured on the beautiful plateau, and white on white floral goodness proved to be the star of the ceremony styling show! 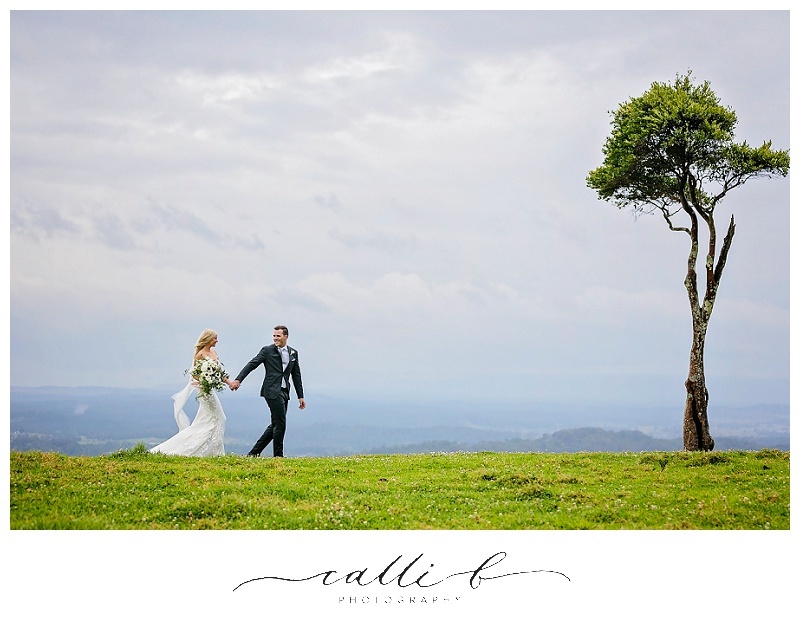 Mother nature threw a little spanner in the works just before ceremony time, and a little rain arrived, but the gorgeous couple preserved in hope of an outdoor ceremony commencing and were brave enough to put up with a few little sun showers. 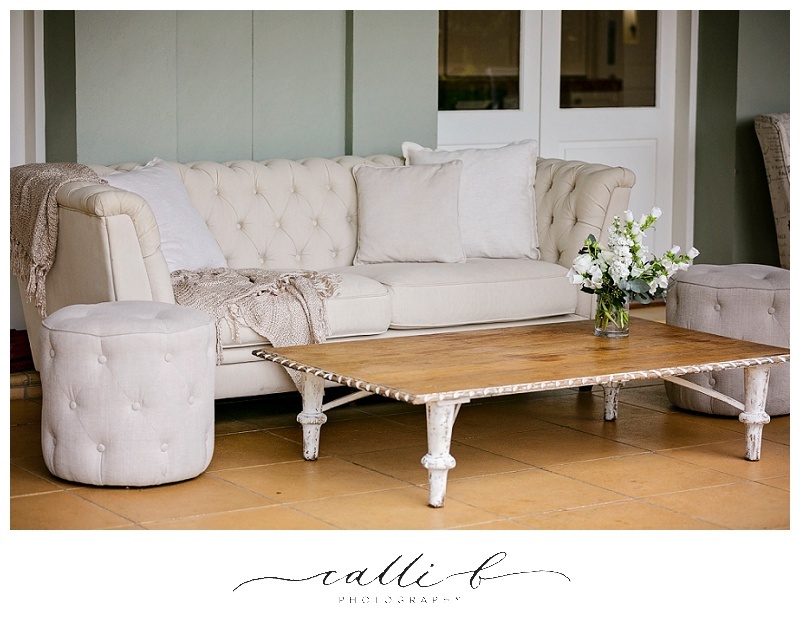 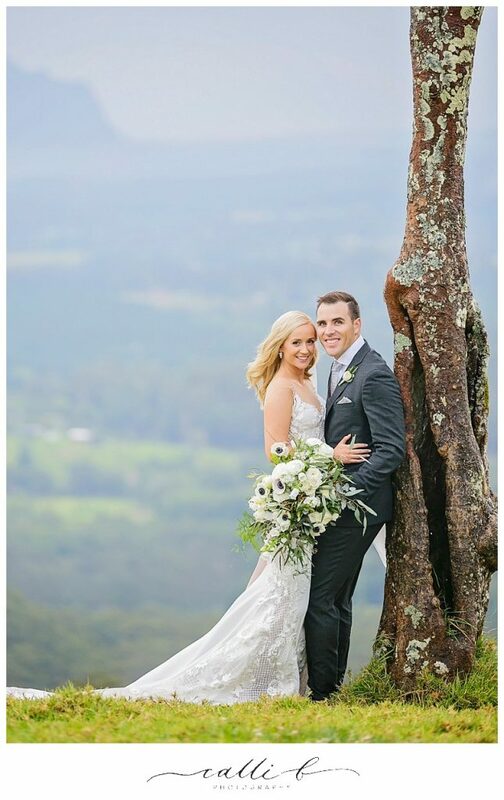 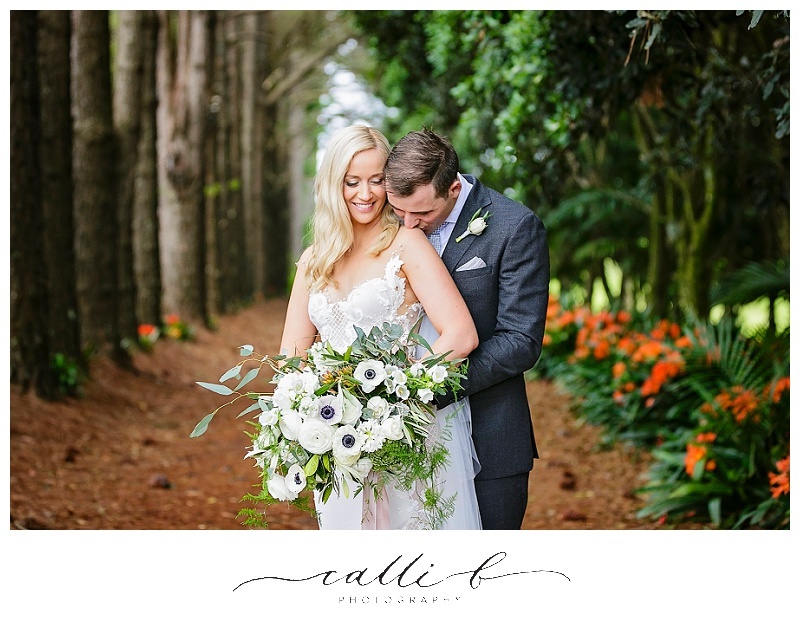 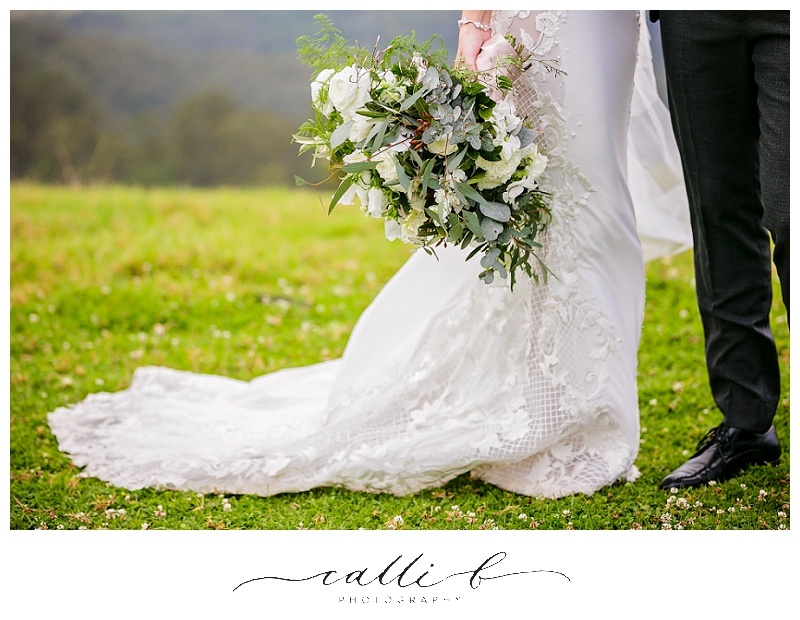 Not that it mattered as you can see the lovely little rain droplets didn’t make an iota of difference to these two lovebirds, and their wedding images captured by Calli B Photography were breathtaking. 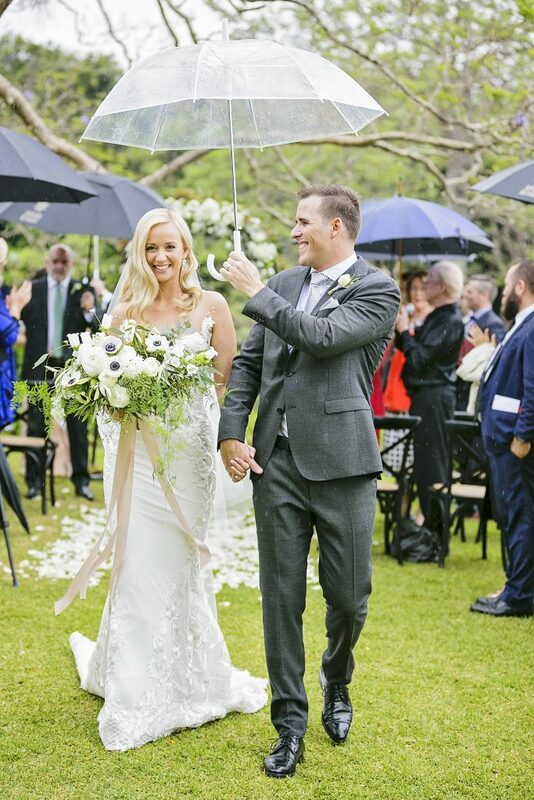 Rain rain go away, but really these two didn’t think there was too much wrong with a little bit of it on their wedding day. 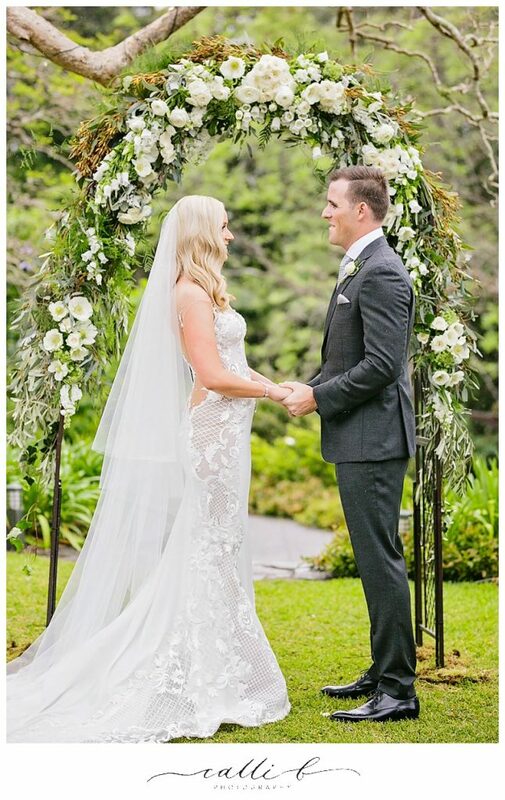 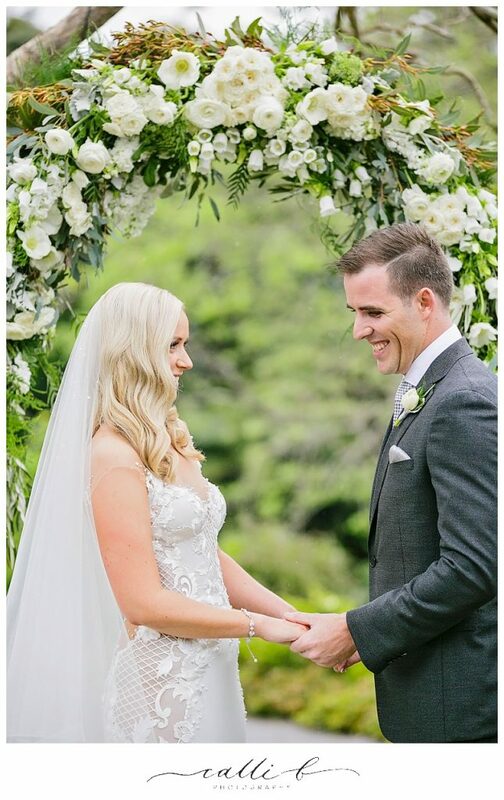 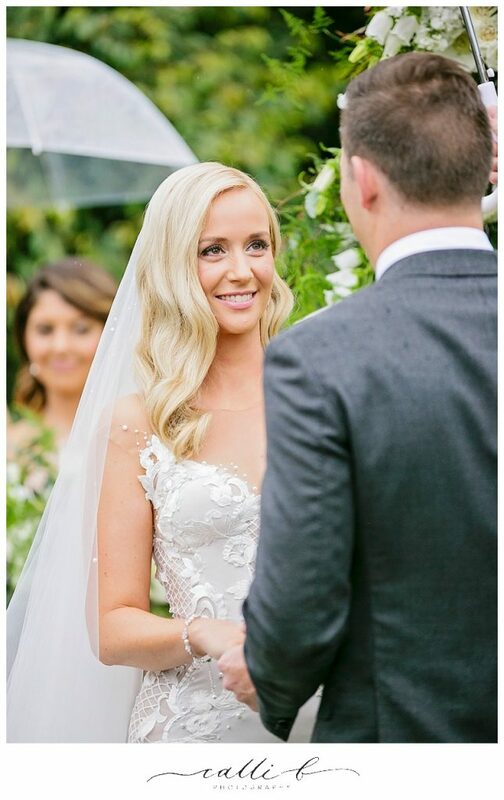 I love the shots with the mist in the background and the droplets of rain in the images at ceremony are quite uniquely beautiful, and so very sweet. 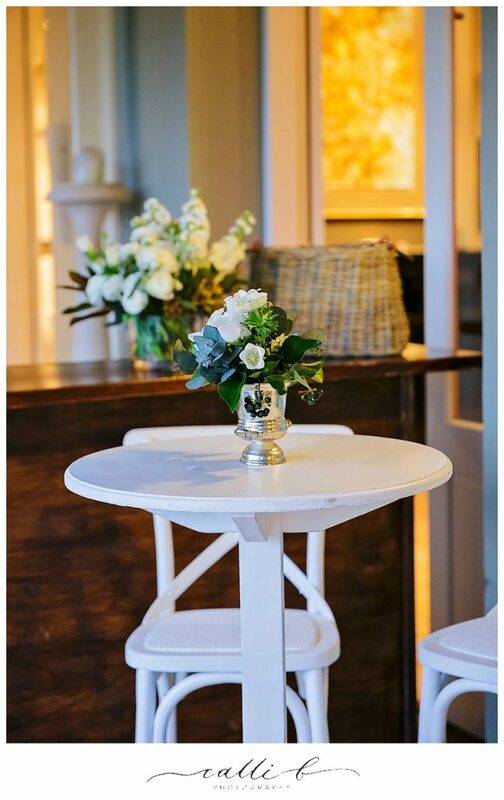 Our lovely friends at Lovebird Weddings were also part of this beautiful day, providing the sweet lounge spaces and chic chill out zone, as well as pretty lighting features on the tables at reception. 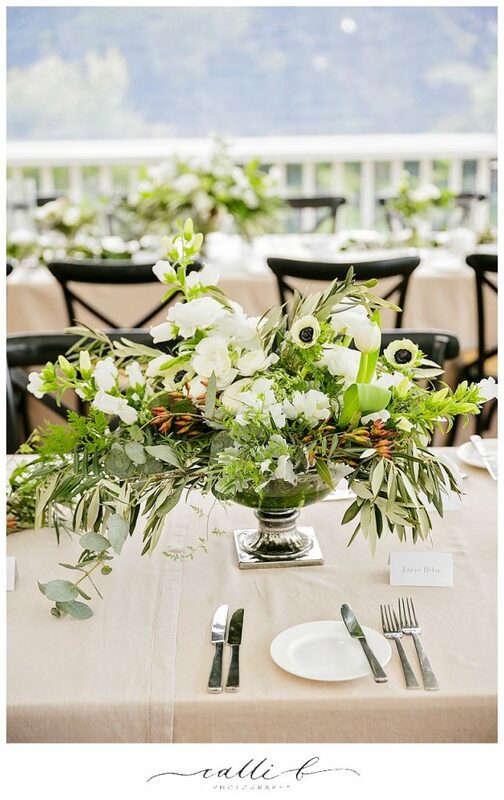 The divine feasting tables at reception featured our combinations of glass vases and our gorgeous contemporary silver footed chalice vase. 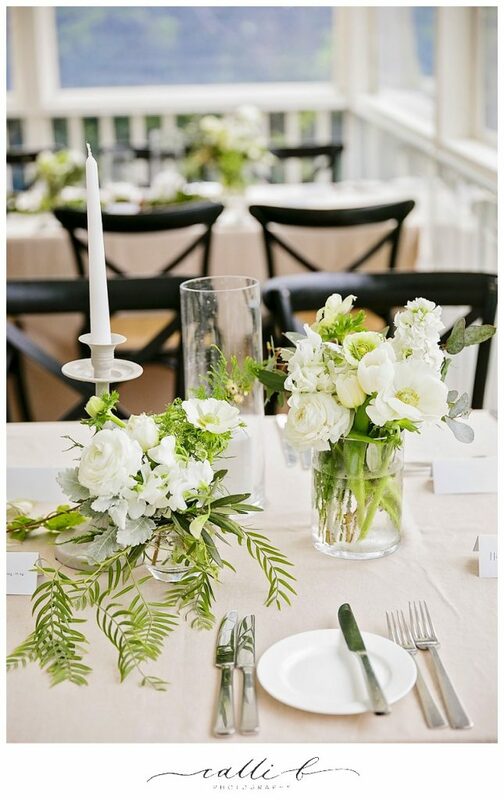 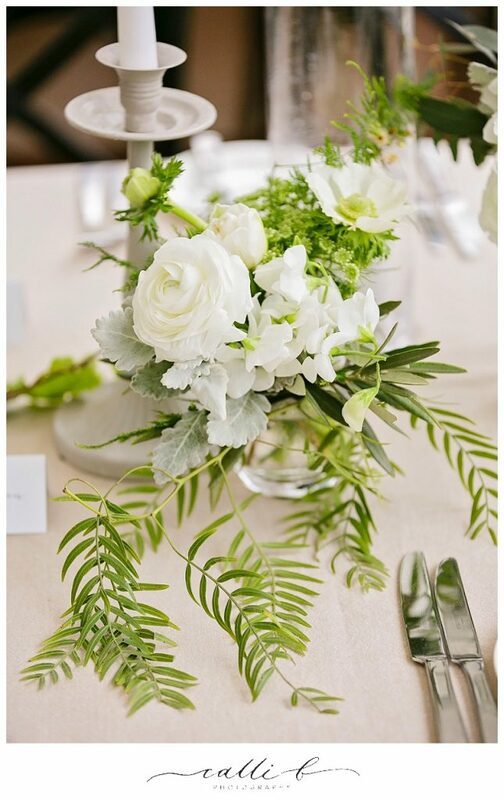 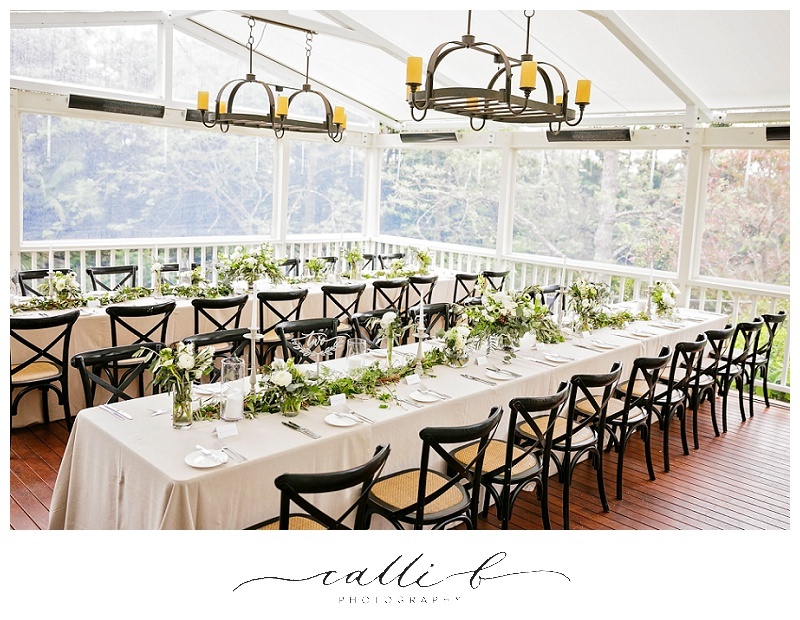 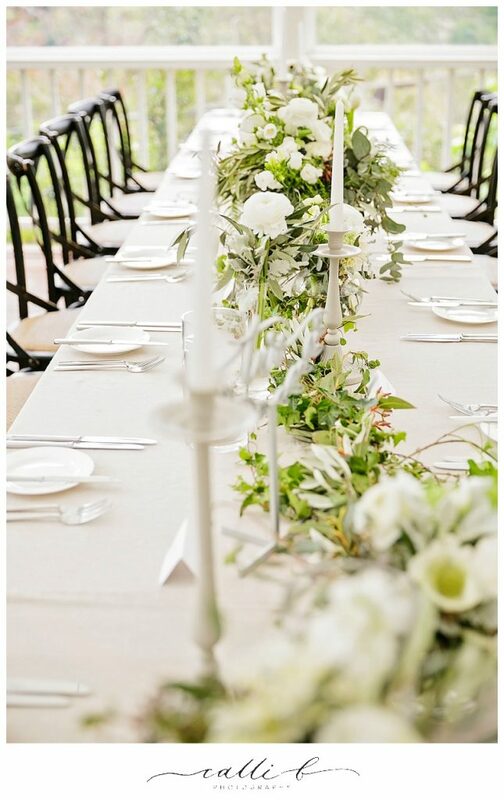 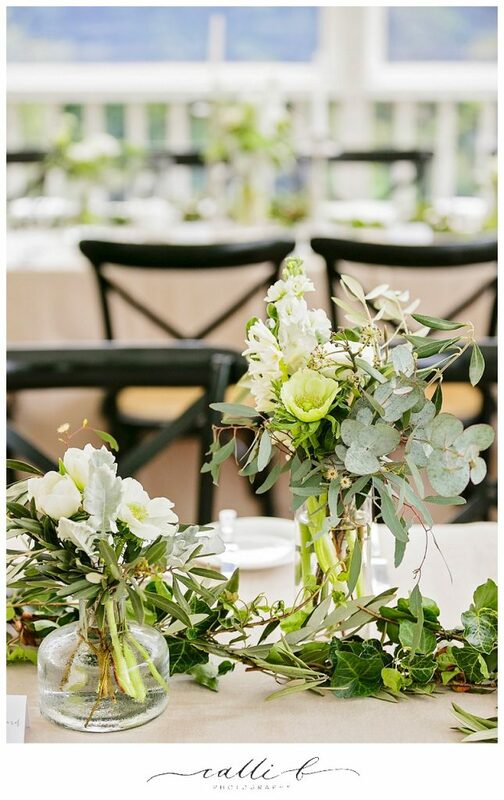 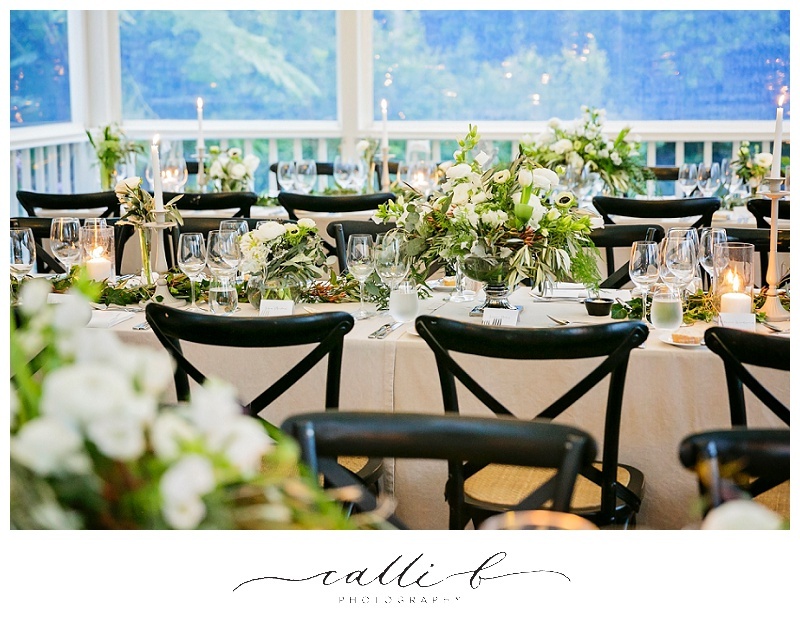 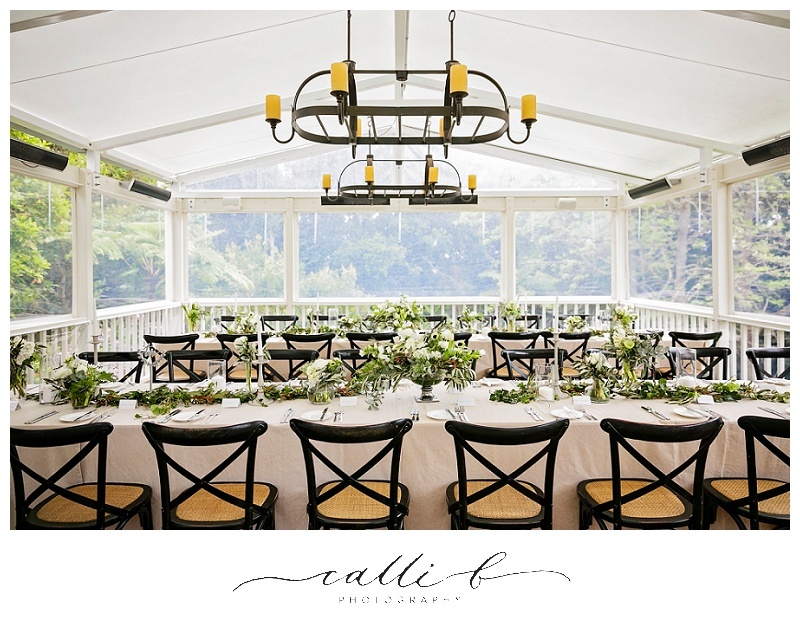 Rustic rambling foliage’s also featured throughout the table styling. 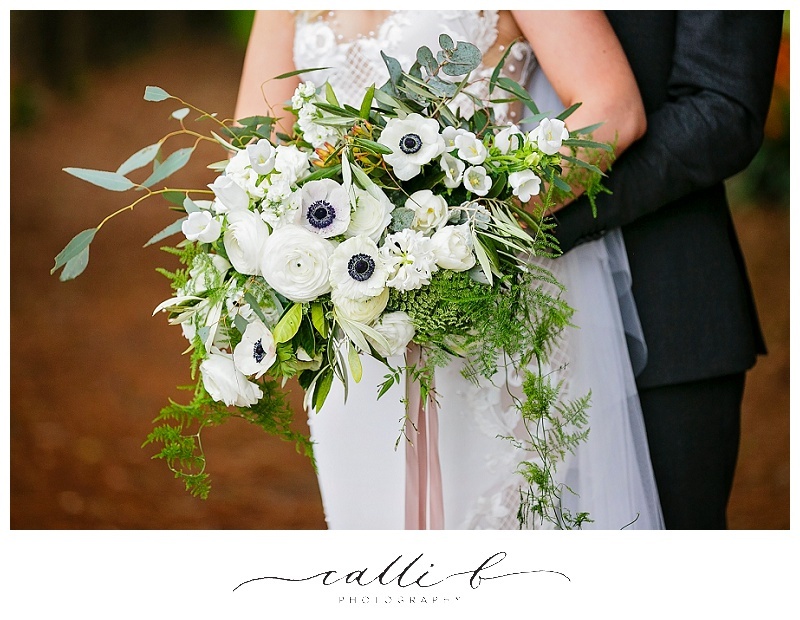 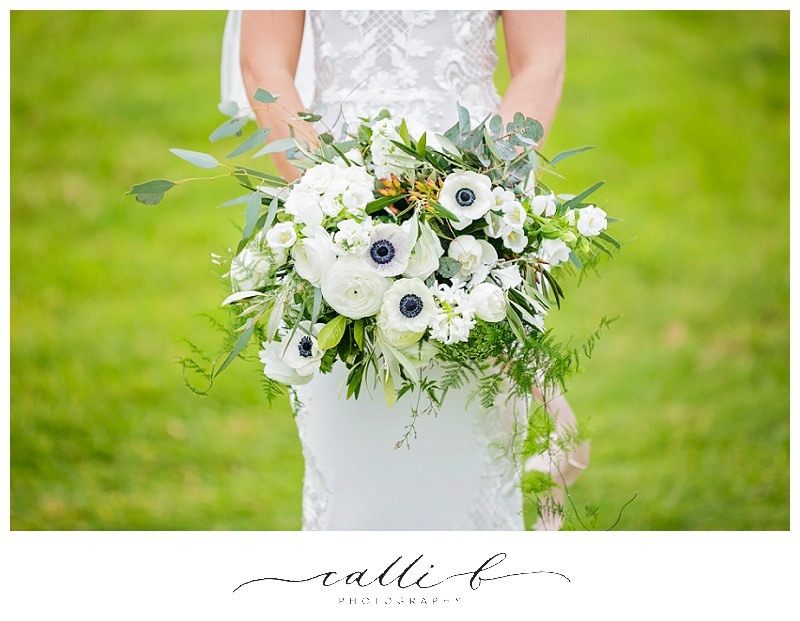 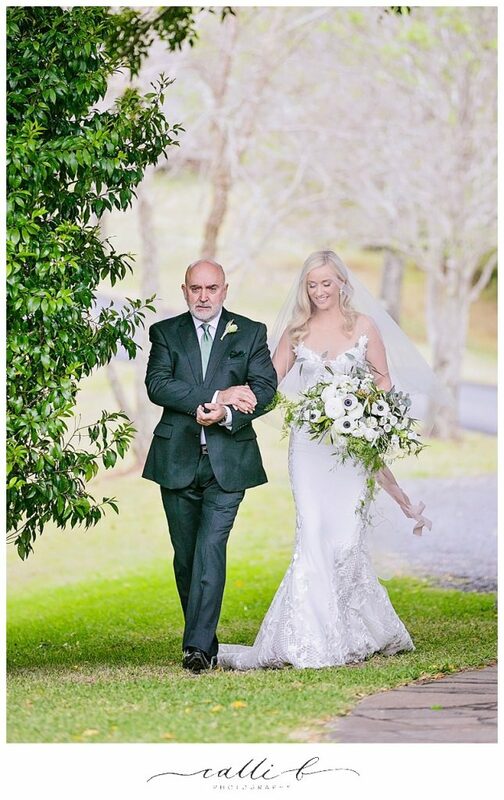 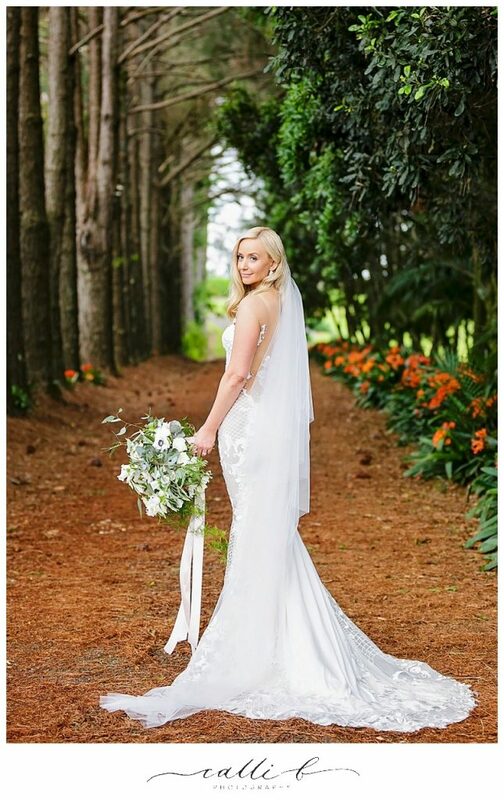 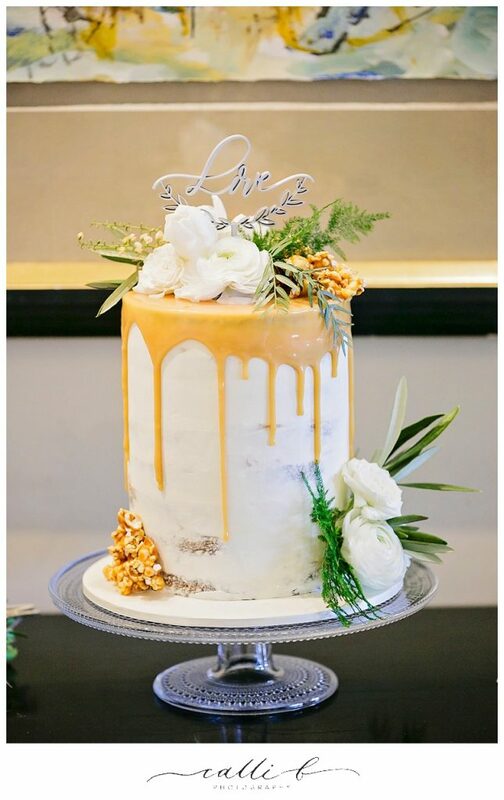 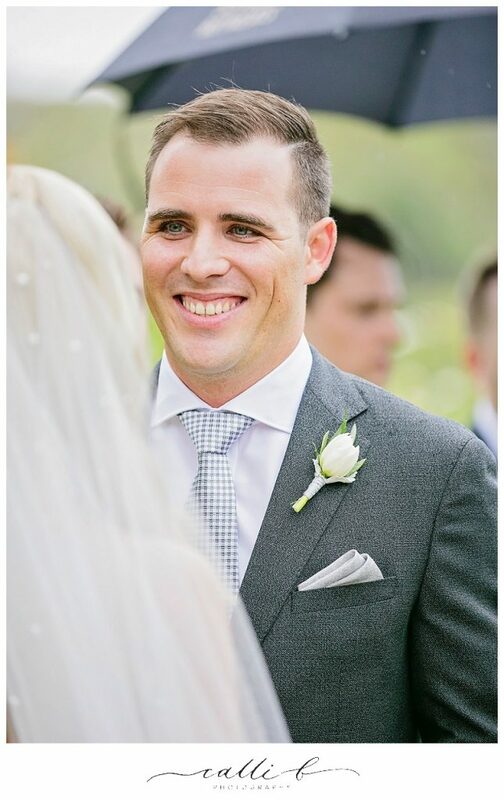 It was a simply stunning springtime October wedding day. 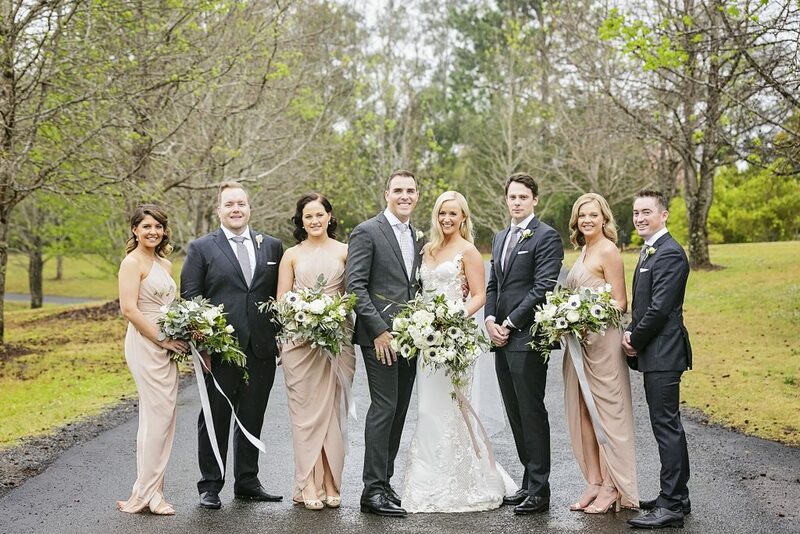 Congratulations Rebecca and Robert it was such a pleasure being part of your gorgeous day.